Writer. Lives in a very small way. This review originally appeared in the Irish Times. Towards the end of ‘The Standing Chandelier’, the novella that opens Lionel Shriver’s first collection of short fiction, one of its protagonists – or, at this point, its antagonists – makes an observation that comes to seem bleakly defining. Jillian Frisk (a self-absorbed hobbyist) and Weston Babansky (a ruminative deadbeat) have maintained a near-platonic friendship for twenty years, but when Babansky seizes a late romantic opportunity it is sacrificed on the altar of marriage, leading to an unseemly tussle over a wedding gift. The preoccupations of this collection are announced in its title, and such sentiments might appear to go with the territory. Yet here, at least, they are modestly enlivened by irony. The wedding gift in question has indeed provoked hostilities, but the contest that animates the story is – somewhat improbably – for possession of Babansky himself. It is an engaging study of the calculus of intimacy, and Shriver brings to it a measure of the psychological acuity for which her novels have been praised, but it is marked, as all these stories are, by a grimly transactional view of social conduct. 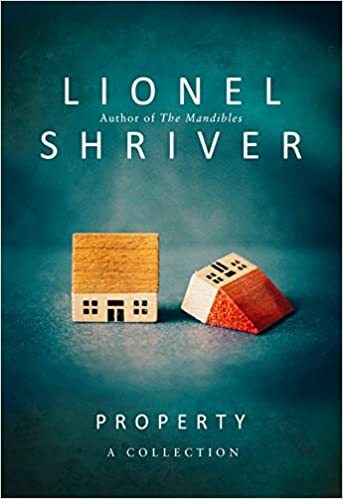 Shriver’s characters are inveterate scorekeepers, maintaining meticulous accounts of everything from unpaid restaurant bills to unreciprocated filial love. While these exaggerations may well be deliberate, they are staged without concessions to dramatic irony, giving these fictions an airless and mechanistic quality that grows more pronounced even as Shriver finds more inventive ways to sustain her central conceit. In ‘The Self-Seeding Sycamore’, a widow tends the garden she once disdained, only to find it aggressively colonised by a neighbour’s tree. Said neighbour, a gym-honed oaf named Burt, is duly confronted and – after a guerilla pruning raid results in mishap – briskly seduced. Perhaps recognising its slightness, Shriver elects not to burden this forlorn apparatus with an emotional payload, or indeed with any recognisable motives. ‘The Royal Male’, in which a disgruntled postman wins the affections of the retiree whose letters he has purloined, is no less flimsy, and by the time its characters arrive at their squalid and unlikely romantic accommodation, we can no longer be bothered to work out who is appropriating what from whom. What is objectionable here is not the standard-issue right wing mudslinging but the author’s casual delinquency in rupturing the fabric of her own fiction. But Shriver’s apparent loss of interest in the development of her theme is, by this time, the least of our concerns. The first duty of a reviewer, insofar as any consensus can be found, is to set aside prejudice and to consider each piece of work on its merits alone. A writer’s politics and public pronouncements, however distasteful we may find them, must usually be ruled inadmissible as evidence. But this duty, in Shriver’s case, is complicated by a number of factors, not the least of which is her own disregard for the boundary between fictional perspectives and her own clearly recognisable views. Shriver will no doubt dispense with this criticism in similarly airy terms, but in this instance she has already advertised her own bad faith. When a supervisor shows up (he is black too, and further inflames the situation by ‘swaggering’), Shriver and her sock puppet all but cast the subterfuge aside. ‘Oh, great,’ he thinks, ‘this encounter [has] every capacity to escalate into a race matter.’ Well, quite. The ties that are severed, in such moments, are those between the author and her reader. If we can no longer afford her the benefit of the doubt, the compact by which fiction is sustained simply collapses. All that remains, ugly and out of place, is stuff. Paraic O’Donnell is a writer of fiction, poetry and criticism. His first novel, The Maker of Swans, was shortlisted for a BGE Irish Book Award in 2016.